Buying gifts for the equestrian enthusiast that has it all can be a tricky task. But this gorgeous leather snaffle bit bracelet is the perfect present. Ideal for those that take pride in their equestrian wardrobe, this bracelet will complement any outfit, exuding a cool sense of style both on and off the horse. Expertly crafted using a high-quality textured leather, this snaffle bit bracelet is part of a collection of equestrian-inspired hardware. A truly high-quality item, it really is the perfect treat for the discerning rider. Crafted from high-quality leather – the snaffle bit bracelet is hand-crafted using the finest type of leather. Textured grain leather is luxurious and classic, perfect for those with a traditional sense of equestrian style. Available in a range of colours and styles – the snaffle bit bracelet is a popular accessory for any keen rider or lover of equestrian apparel. As well as this sumptuous antique brown, it is available in a range of other colours to suit any preference. One size fits all – this bracelet is adjustable depending on the wrist size. The leather strap is 5/8” wide and 8 ¼” wide. 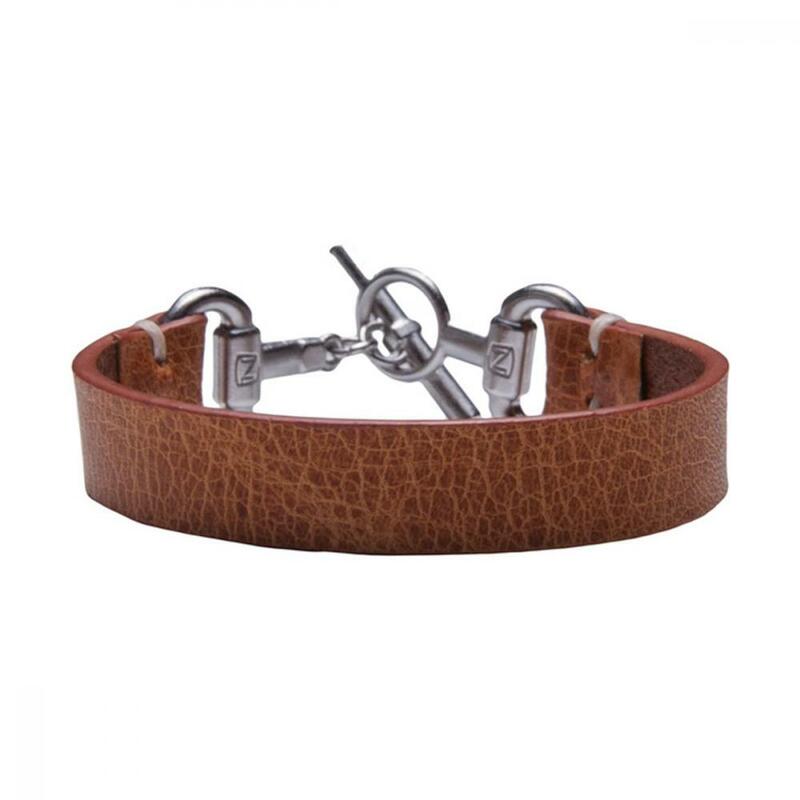 High-quality metal snaffle bit – this leather bracelet is fastened together using a high quality and durable metal snaffle bit. This adds a touch of bling to any equestrian outfit, and looks great either on its own or layered alongside other bracelets. The perfect finishing touch to complete your chosen equestrian look! There are currently no questions for Noble Outfitters Snaffle Bit Bracelet - be the first to ask one!